Let�s have some fun learning how to solve problems and achieve goals while reducing stress. Stan�s motivational style creates an atmosphere charged with inspiration and wisdom. Programs are customized, interactive & embrace different learning styles. Improve Communications – Solve Problems, Reduce Stress, Increase Productivity and Make More Money! The benefits from this session can be staggering. We will learn a unique system for communication and organization, which is guaranteed to lead your team towards performance improvements and increase productivity. Plus, good communications can reduce information overload. Your attendees will discover easy to apply principles of communications which are guaranteed to reduce misunderstandings. Not only will this reduce unwanted stress, it will help to avoid problems before they arrive. This means you will have fewer costly fires to put out. Good communications have a positive impact on your bottom line. Communications go far beyond the spoken or written word. This is why Stan will infuse many of the human relation principles he learned in his years as a Dale Carnegie Training™ coach. As we apply our new skills, comprehension will improve. This will help to significantly reduce confusion, resulting in a better work environment for everyone. A key factor that makes this program so empowering is the tangible tool that each participant shall receive. It is the “LogicDie™”. The LogicDie™ is a mnemonic device that lays out success principles in a systematic, step-by-step process that is valid for every situation. It is a critical thinking tool that will enhance communications and help everyone to get on the same page very quickly with a high degree of commitment to your project. It has a very short learning curve and is easily taught to others. It becomes the anchor for long term results. Although, most everyone knows the foundational principles required for success; the LogicDie™ provides a system for bringing it all together. It is not a lack of knowledge that creates our leadership challenges; it is our inability to put all the pieces together in a concise package, in a timely manner. This program and the LogicDie™ will help us to accomplish our goals and become better communicators and thereby better leaders. Everyone will have lots of fun and laugh during this interactive session that touches on all three learning styles to ensure that each person receives the maximum benefit. 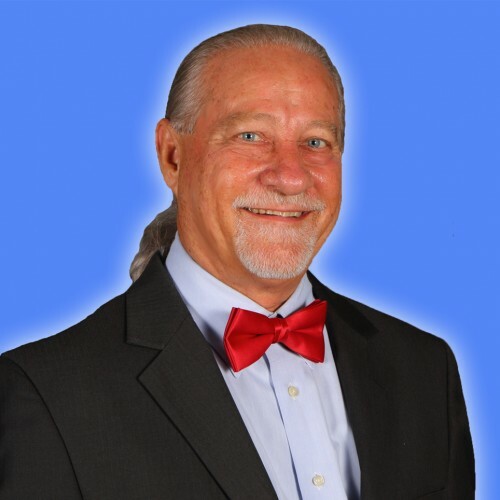 Stan brings his decades of experience as a business owner, consultant, Toastmaster™ and Dale Carnegie Training™ coach to the table which helps him to relate personally to his audience. You should receive plenty of positive feedback and enthusiastic appreciation for bringing this program to your audience. NOTE: Do to the nature of this message; a pre-event conference is required to ensure that Mr. Reynolds will clearly achieve the priority objectives of the planner. Thanks a million for taking the time to review this program. Stanley J. Reynolds P.S. You will want to contact the office as soon as practical to secure your date. Please call (813) 406-7000. You can contact Stan directly at Stan@StanReynolds.com or (813) 309-0269. Please check out our other programs too. You will want to see the testimonials.